Bridesmaids: Back on the big screen at ODEAN cinemas in March | SHEmazing! Bridemaids – arguably one of the most important pieces of comedic film the 21st century has produced. It's popularity has not waned since it's 2011 release, and due to popular demand after screening a range of popular cult classic films in 2018, ODEAN cinema has teamed up again with Pigsback.com to screen some of the best loved films throughout the year, starting with Bridesmaids. 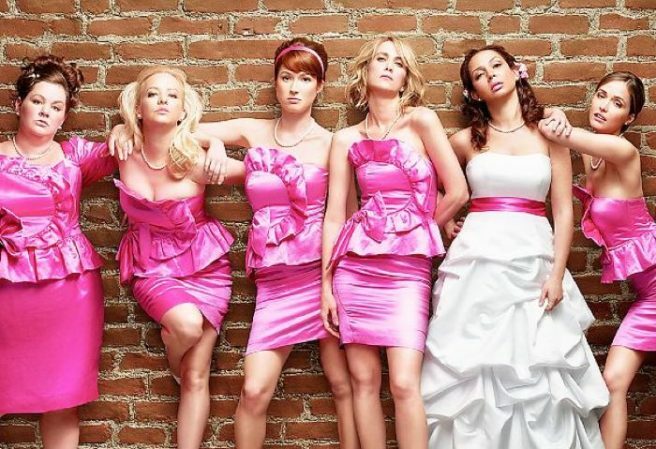 On Monday 25th of February at 6.30pm at participating ODEON cinemas nationwide Bridesmaids will hit the big screen once more for just €15 a ticket including a popcorn combo and chocolates. Blanchardstown, Coolock, Stillorgan, Point Square, Charlestown, Naas, Newbridge, and Castletroy, Waterford will all be screening the classic comedy. 'We asked our customers what comedy cult film they’d like to see and they said ‘Bridesmaids’, so we are delighted to partner with Pigsback.com again to screen another fan favourite,' said Paul Wren, Commercial Manager for ODEON cinemas. There is limited availability so it is recommended that people try and book tickets early to avoid disappointment.